Aspiro is licensed by the Utah Department of Human Services as an Outdoor Behavioral Health Program. In addition, as a part of Aspiro’s core vision to implement clinical best practices, maintain the integrity of our wilderness lands, and incorporate ongoing research we have also partnered with several regulatory and accrediting organizations. Through the supportive and collaborative relationship with these different entities, we are able to provide a more elite level of service to all of our clients. The National Association of Therapeutic Schools and Programs (NATSAP) represents a variety of programs and schools providing treatment to over 4,600 clients across North America. Our members include therapeutic schools, residential treatment schools, wilderness programs, outdoor therapeutic programs, young adult programs, and home-based residential programs working with troubled teens and troubled adolescents. Our programs are dedicated to providing the highest quality of services to the people and families they serve. This website serves as a resource to parents and professionals for information on our various programs and the families they serve. 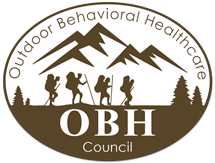 By promoting program standards, ethics, and risk management, plus facilitating outcome research on the efficacy of wilderness programs, OBH Council has set a high standard that families can trust when seeking a solution for their troubled teen. The Association of Experiential Education (AEE) is a nonprofit, professional membership association dedicated to experiential education and the students, educators, and practitioners who utilize its philosophy. A wide variety of members make up our association, including ropes course operators; school, college, and university staff and faculty; therapists and social workers; outdoor education practitioners; organizational development specialist; researchers; experience-based professionals working in nonprofit, private, and academic settings; and those in other areas of experiential education. 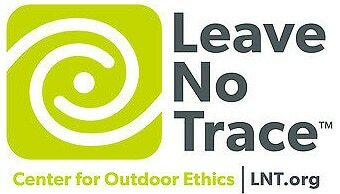 he member-driven Leave No Trace Center for Outdoor Ethics teaches people of all ages how to enjoy the outdoors responsibly and is the most widely accepted outdoor ethics program used in public lands. Through relevant and targeted education, research, and outreach, the Center ensures the long-term health of our natural world. In its simplest form, Leave No Trace is about making sound decisions to protect the world around you – the world we all enjoy. Founded in 1995, The Association for Challenge Course Technology (ACCT) is the world’s leading and largest American National Standards Institute (ANSI) Accredited Standards Developer focused specifically and solely on the challenge course industry. We support therapeutic wilderness organizations and inform the public of the existence of such organizations and their success in helping young people change their lives. Aspiro is licensed by the State of Utah as an Outdoor Behavioral Health Program. As a licensed program, Aspiro is mandated to follow all of the State of Utah rules under Core Check List and under Outdoor Youth. These requirements can be found be clicking here.